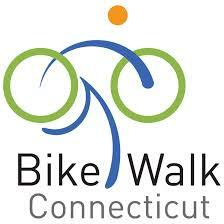 Bike Walk Connecticut greatly appreciates your interest in serving on the Board of Directors. We are looking to build the board with diverse candidates and members of underrepresented communities as we seek to grow the organization's staff and membership. Click here for the full Board Member Agreement (excerpted below) and separate Conflict of Interest Policy. Click here to submit your online application for consideration. Thank you! Our official mission statement is to change the culture of transportation through advocacy and education to make bicycling and walking safe, feasible and attractive for a healthier, cleaner Connecticut. Have available time to work to advance these goals and programs. Board members are expected to attend and participate in all scheduled board meetings (six or more per year) and committee meetings. There may be a Board retreat each year. If unable to attend a regular meeting, directors are expected to notify the President or Executive Director of the absence at least 24 hours before a scheduled meeting. Excessive absence from board and committee meetings may be grounds for removal from the Board. Actively assisting with fundraising and ensuring that the organization has the resources necessary to carry out its mission. This includes working to increase memberships and sponsorships. Support major Bike Walk Connecticut events by attending and asking others to attend. Participate in advocacy activities with state and local leaders and legislators. Click here for the full Board Member Agreement and Conflict of Interest Policy. Submit your online application for consideration.